On Friday the Mayors of the two largest cities in New Jersey, Mayor Baraka and Fulop announced their support of the proposed legislation with attention to full automatic expungement for all non-violent cannabis arrests. The most important and controversial policy issue of our time is the proposed legalization of adult use of cannabis which will be voted upon on Monday, March 25th, 2019. A press release from the Mayors office stated “This legislation has the ability to give hope and new beginnings to communities that have historically dealt with the impacts of failed drug policy and the criminalization of communities of color, disenfranchised and poor communities which have disproportionately been impacted. According to the ACLU, marijuana arrests now account for over half of all drug arrests in the United States. While they support this legislation, it is with the assurance from our leaders at the State level that they understand that more work must be done. No matter Monday’s outcome, our stance still remains that the state must be diligent in creating the mechanism to ensure that the expungement process is automatic for all non-violent cannabis arrests. From day one, we have been vocal on this issue and working with our State leadership on this and making recommendations on an ongoing basis. Now for the fun part. The bill, S2703 (companion A4497) will be put before the full state legislature for a vote on Monday, March 25, 2019. In order to pass, the bill must receive 21 votes in the Senate and 41 in the Assembly. 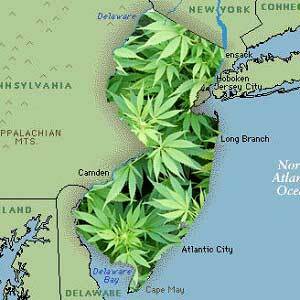 This week, we saw reports that the bill doesn’t quite have the necessary votes, but Governor Murphy and Senator Sweeney have been rumored to be zealously working the phones to persuade legislators by Monday. If the bill is passed, don’t expect to see (legal) retail sales of marijuana overnight. The Cannabis Regulatory Commission has 180 days from the date of enactment to promulgate rules that will regulate the industry, and applications for licenses will not be accepted for 30 days from the time the rules are promulgated. So we are likely looking at sometime in 2020 before any retailers open their doors. And if the bill is not passed, it likely won’t be the end of the story. Chances are the issue will be revisited in the fall (as the budget will take center stage this spring) or it could be the subject of a ballot referendum.